Red Sea expedition experiences behind him. impossible to cross with any vehicle. 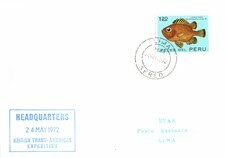 the Governments of Panama and Colombia, the Natural History Museum, the Scientific Exploration Society and scientists to study flora and fauna. 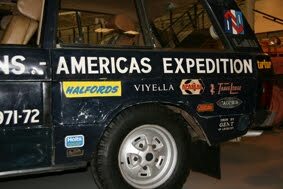 The expedition was supported by generous sponsor companies in Britain and America. Duckhams supplied the oil. Tirfor and Mayflower supplied hand winches and recovery gear. 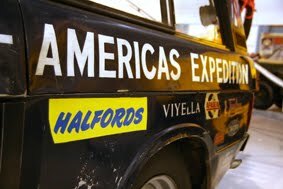 Marks and Spencer gave the clothing, and the food company Heinz supplied the expedition with no less than 3 tonnes with food. 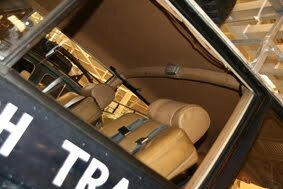 All-Traction swamp tyres and removable wing panels for easier access to them. 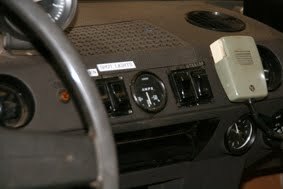 passport, money etc in one of the vehicles. 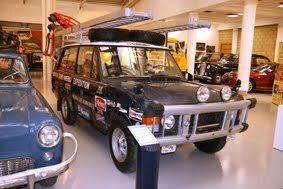 The two Range Rover's were flown from RAF Lyneham to Anchorage via Greeland in December 1971. They drew the Alaskan Highway from Anchorage into the Yukon via Whitehorse and Dawson. The average distance a day was 500 miles and the conditions were roads with ice and snow. 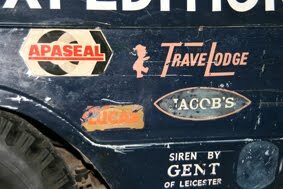 The travelling company Travelodge was a sponsor and each Travelodge they stayed at were welcoming them with "Travelodge welcomes Trans-Americas". 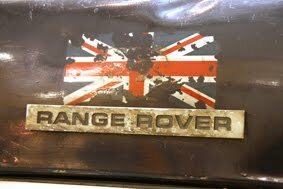 In Canada they nearly lost one of the Rover's as they crashed into one stranded lorry on the slippery frozen tarmac. None in the car was hurt, but the Range Rover needed to be repaired. 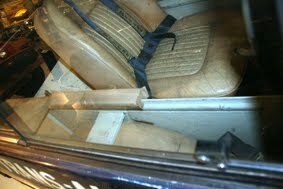 Gavin Thompson and his crew in the other car, hauled the crashed vehicle via an A-bar to Vancouver in the cold weather. 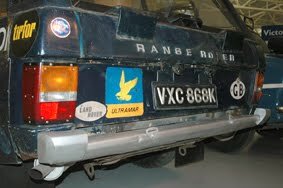 Here they had an extra week delay, waiting for repair parts to be sent from England, then they could straighten and rebuild the Range Rover at the local Leyland dealer. On Dec 23rd they reached San Francisco and arrived Los Angeles on the 24th. 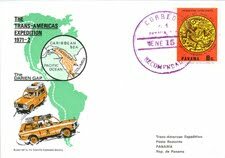 Through Mexico and Latin America with press meetings and demonstration for General Somoza, which ordered new Range Rovers for him and his brother the President of Nicaragua, until they reached Panama City on Jan 12th. In the next days, the rest of the crew arrived and the final preparations where arranged. This year the rain season had been for five weeks longer than normal, leaving the land areas of thick, black, gooey mud. 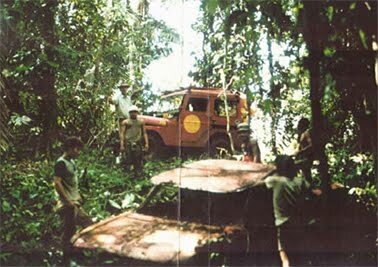 On January 19th they went with the Range Rover's into the jungle. The speed of the expedition was low, some days only a mile was covered, if they were lucky. obstacles like huge trees and ruts. 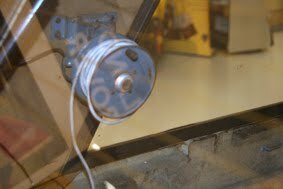 were driven by 20 hp Johnson outboard motors or by the vehicles own Fairey capstan winches. On one occasion they had waded the first vehicle over a small river at the evening before. The second vehicle was to be brought over the next morning. Meanwhile there had been a short, but heavy night rain so the the small river was more fast flowing. They decided to not use the rafts due to the flowing. Gavin was nearly across when the river took the vehicle and pushed them off the course. 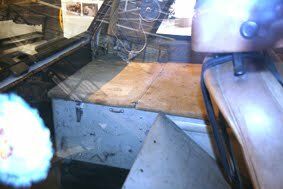 The water went over the bonnet and the engine was rapidly switched off. Now the vehicle was like a dam and the water raised to above the roof height surprisingly fast. 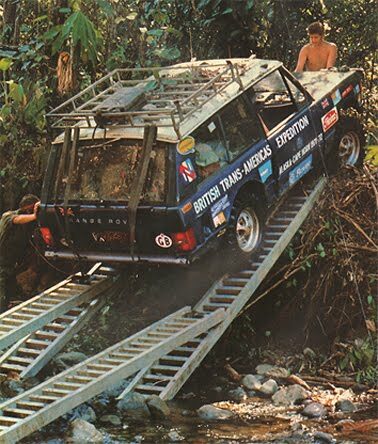 After several attempting, the crew managed to fasten a hand driven Tirfor winch to the Range Rover and slowly drew the car out of the wet obstacle. During the drying process where after, there were pumped water out of the cylinders and every oil was changed several times. 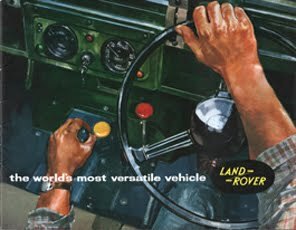 The Range Rover started and was on the track again ! 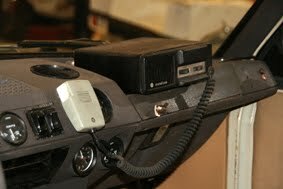 The expedition had radio contact with the two bases outside the Darien Gap. 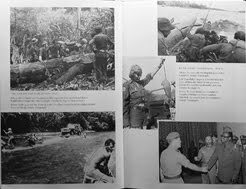 The Army Air Corps had Beaver aircraft for supply of petrol, mail, supply materials needed in the jungle. 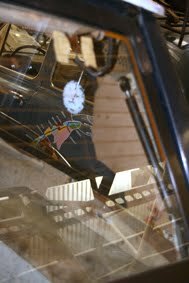 The goods were dropped with parachutes from the plane at places market by smoke signal, flares or balloons in the forest. 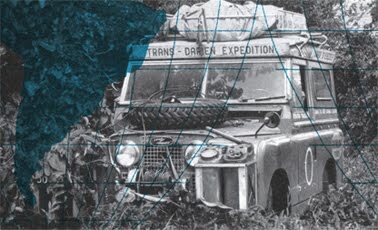 The overall fuel consumption was approximately 1 mpg and the average distance a day through the Darien Gap were only 2 1/2 mile. 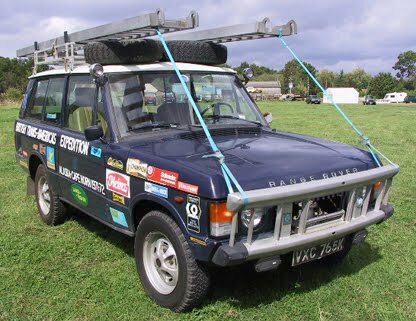 The Range Rover's suffered from extreme wear of the rear axle differential, because of the far too heavy loads and nearly 45 degrees of slopes, as well as the impact of the oversized swamp tyres. 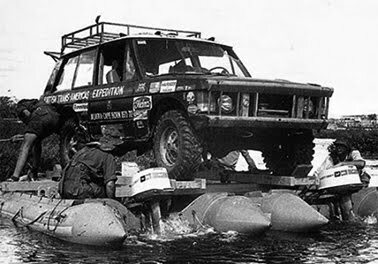 Much of the heavy load was on the roof with the spare tyres, ladders, rafts and equipment gears, only to give even more strain to the rear axle. differential. The big swamp tyres were used from the beginning, but in the deep mud this selection proved to be a mistake. 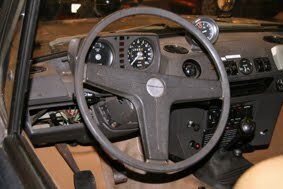 Masses of mud clung to the wheels with much wheel spin as result and with even bigger impact on the stressed the axles and differential. After 35 miles into the soggy, steamy jungle a rear differential broke and with all the power on the front axle, this unit broke as well. 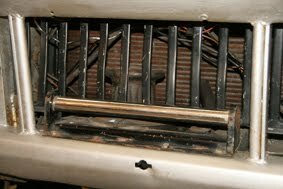 In addition there had been used wrong hypoid gear oil on the axles, which resulted in even harder wear with excessive temperature buildup and even faster axel differential break down, as a result. With one totally broke Range Rover they tried to haul it with the other Range Rover, only to get this vehicle with broken differential, too. 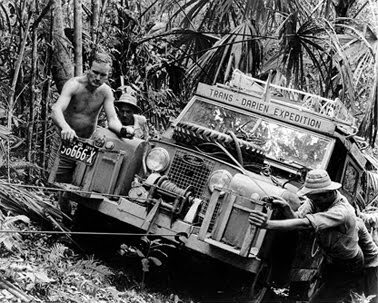 Gavin Thompson was flown out of the jungle to get in contact with Land-Rover Ltd's transmission expert Geoff Miller to explain what and how the differential broke on the Range Rover's. 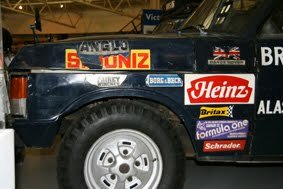 At Solihull in UK the transmission team build up a Range Rover with the same swamp tyres and weight as in the Darien jungle and drove round and round in the Jungle Track at Solihull, until the differential broke. days back according to the plan. schedule, despite even worse terrain ahead. 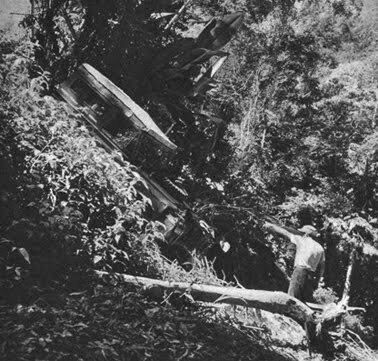 New trouble hit the expedition when they forced the Devil's Switchback, looked like a saw tooth like terrain with very steep ascents and descents when the small caravan of vehicles proceeded the Pucuru heights against Palo de las Letras at the Panama and Colombian border. 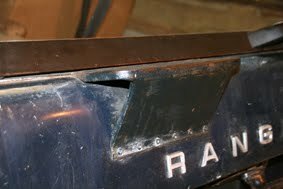 The Land-Rover occasion-ally fell in a ravine and two of the invaluable ladders broke. 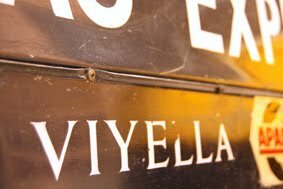 The misrouting in the severe terrain cost them another extra 10 days delay. 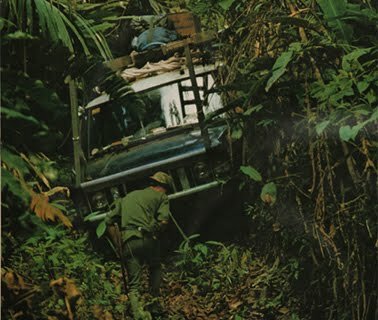 On April 9th, a special event occur when the expedition hit the Colombian border, they found the wrecks of the Chevrolet Corvairs from the American expedition in 1962 ! 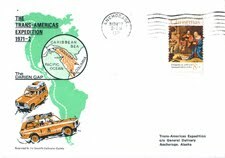 The mission with the Chevrolet-led expedition named "Daring the Darien" was to drive 3 Corvairs to the border of South America, and the boundary stone at the border between Panama and Colombia marks the beginning of South America. obstructions clear and blast a way through the weeds by using a lot of dynamite. 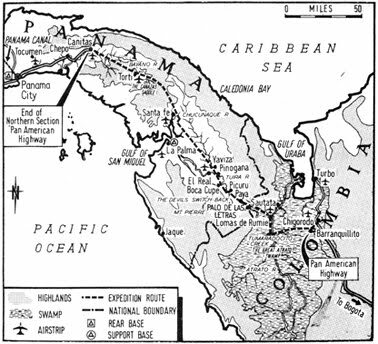 of Darien Gap. 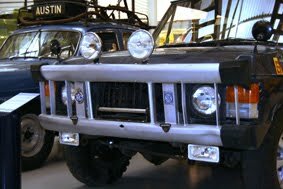 The British Army and three Rover vehicles had conquered the "El Tapon". On rough and dirty roads they drow down to Medellin. 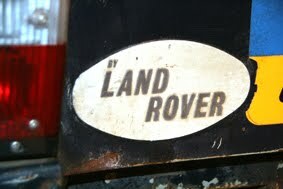 At the British Leyland agent in Bogota, the Range Rove's got a much needed attend and thoroughly service. On May the 13th the expedition started up again further south. The rest of the expedition crew had went home to UK again after a well done expedition. 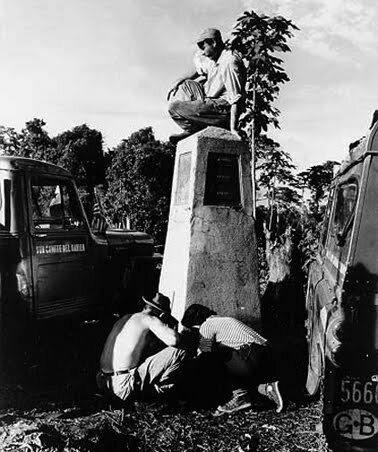 Compared to the severe obstacle of Darien Gap the roads to the Terra del Fuego were more uneventful. 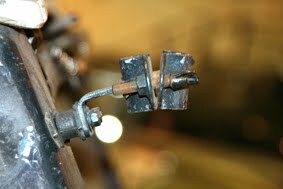 In Quito, Ecuador and Lima, Peru, there were new stops to maintain and service the cars. In Santiago, Chile was new press conference held before they went further to Osorno. 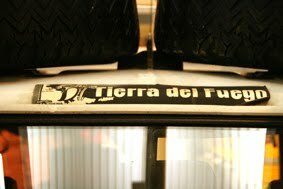 On the fast desert roads in Chile they were able to hold a speed of 90-100 mph and covering 800 miles in a day. On four days in Chile the Range Rover's covered 2375 miles! That compared to the speed in the Darien Gap jungle of average 2.5 miles a day! The expedition had started in winter condition in Alaska and were now hitting winter again. Snow drifts blocked the planned road in Patagonia, so another route via bad roads had to be done. The expedition hit their end at Ushuaia Cape Horn at June 10th. 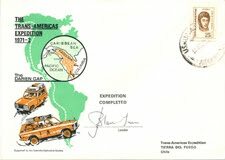 The mission of The British Trans-Americas Expedition was completed ! scene. Note the exhaust pipe snorkel. 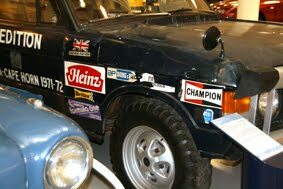 VXC 868K - still in unrestored condition at Gaydon Exhibited among other historic British vehicles Impressive look "British Trans-Americas Expedition"
is the other Range Rover that completed the British Trans-Americas Expedition in 1972.
additional stowage for assorted equipments. 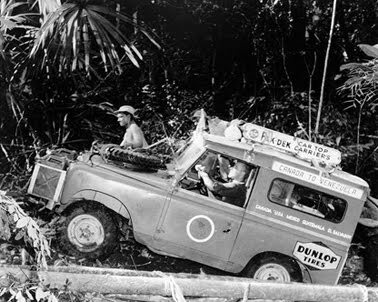 excessive differential breakage in the jungle. on behalf of the Dunsfold Collection. 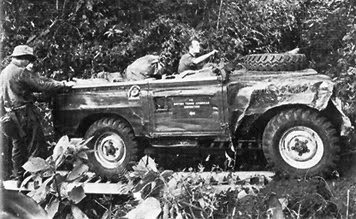 Range Rover Darien Gap Range Rover Darien 1972 "The Hellish Obstacle"
a gruesome history of murder, treachery and diseases. 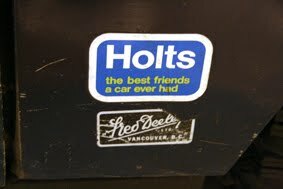 to the power outlet in front of the engine, plus a sturdy roll bar. This turned out to be very necessary preparations. a foretaste of things to come longer south. 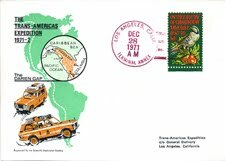 exploring a route for the future Pan-American Highway. 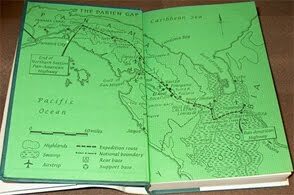 mission were to pioneer the plans for a highway through Darién. 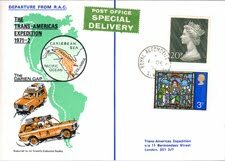 Still today (2010) the Pan-American Highway is still a vision. jungle vegetation, steep hills and uncountable river obstacles. 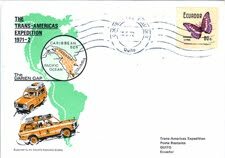 The Pan American Highway Congress' Sub-Committee sponsered the expedition throught the forbidden Darien with a ANGRC/9 ("Angry nine") radio transmitter, food and gasoline. 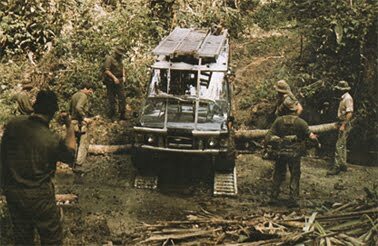 The U.S. Army built them a winch anchor after the experiences in "Costa Rica gap" to use in muddy and swampy areas and Richard and Terry were invited to participate Armys "Jungle Warfare Training Center". 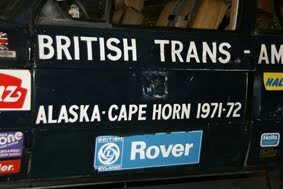 "British Trans-Americas Expedition", 11 years later in 1971-72, with the Range Rovers. power-saw, and guides ready to chop out the track for the next few months, also sponsered by the Sub-Committee, counted the Trans-Darien Expedition members. was so slippery and wet. 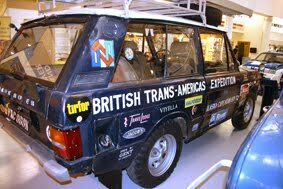 allowed to go on with the expedition. slowly over and down in the ditch. No one was injured and the Jeep could be winched up again. 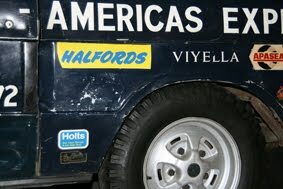 During the April the expedition had been able to manage 105 hard miles. In the beginning of May near the new rain season they were no longer sure their position. According to the Indian guides they should have crossed the River Cue by long and they were lost. 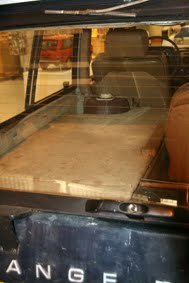 The radio generator had fallen off the Jeep and for 5 days Terry tried to fix the generator and he did! In the village Yaviza and other village at Darien, there had never been a vehicle before, so there were big commotion and people swarmed around the cars. To cross the river Chucunaque and Tuira a flat-bottomed barge were used. After two months since the expedition left Chepo they reached El Real and were welcomed by 800 peoples. 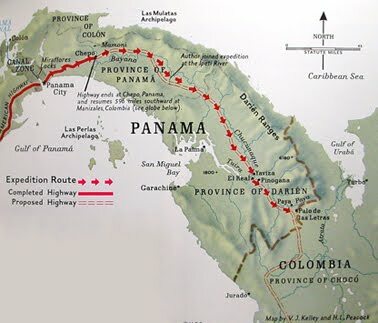 El Real had for three centuries been used as a transshipment port for gold from the goldmines around to be shipped to Panama City. Several raids had many times vounded the city El Real and their citizens. upwards upp to 600 feet high. 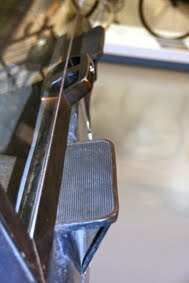 The winches and steel cable were used to surmount the ridges. the engine fired up again. Amazing! to skin for the next 6 weeks. Because of the rain the mosquitos were really eager after blood. Colombia. The border is marked with a concrete monument. 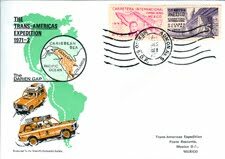 overland from North to South America, as the Jeep only started from Panama. 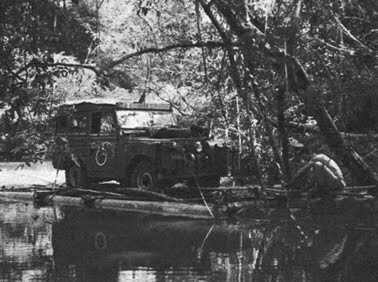 had to be sent to hospital in Quibdo by canoe, because of jungle exhaustion and malaria. rapids and 2 hours in whirlpools. had to be hacked out to bypass the river. Now it was Richard turn to get malaria. 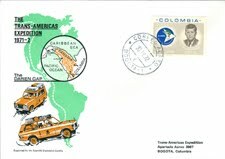 June 17th 1960, the expedition reached Quibdo, Colombia with a welcome like heroes. A week later they arrived Bogota capital of Colombia and then the official end of their journey. 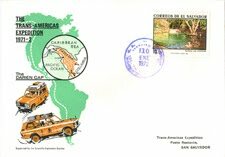 "We Drove Panama's "We Built Our Own Road "Linking the Americas"
Darién Gap" Trough the Darien Gap"
as well as a great PR-stunt for the Corvair model. 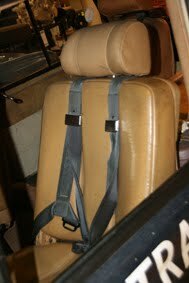 a very hated vehicle because of the many serious accidents there were with Chevrolet Corvairs. 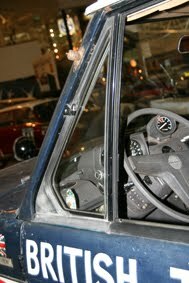 and he wrote a book in 1965 "Unsafe at any speed", which is often characterized the book about the Corvair, but only one chapter is about the Corvair. 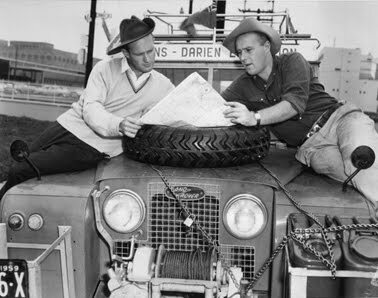 this expedition through Darien in 1962. 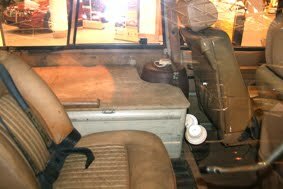 The Corvairs had a very impressive suspension system and because the engine were at the rear above the driving wheels, it managed the water well and it did not get stucked so easily as ordinary 2-wheel drive cars with engine in front and driving wheels at rear. 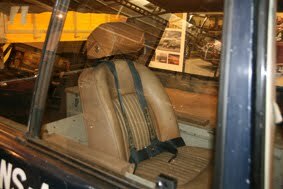 The expedition Corvairs were prepared with water proof electrical system, but they had only drive on the rear wheels and they were not equipped with a winch. 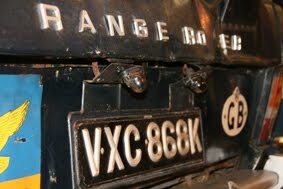 and the heavy weight, the truck was a big challenge to get through the jungle. 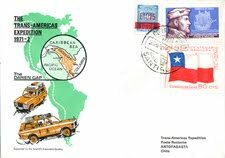 Panama and Colombia at Palo de las Letras. 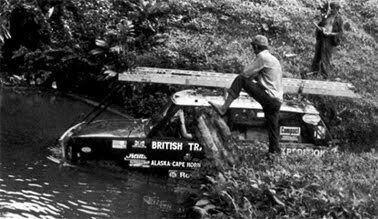 jungle and the British Trans-Americas Expedition found the Corvairs at their expedition in 1972.
one picture shows when they re-discovered the Corvairs near the Panamanien/Colombian border. Again in 1990, the Corvairs were again pictured as shown above of a group of American Jeep enthusiasts.